The Catholic charity group Aid to the Church in Need (ACN) has announced a series of emergency relief programs for beleaguered Christians in Iraq and Syria as winter takes hold in the region. According to ACN, 19 relief programs will be launched in Syria, while 11 will be launched in Iraq. The programs will provide food, medicine, shelter, and pastoral support to the Christian communities in those countries. Some of the programs include building a nursery school in Erbil, Iraq, for Christian refugees; providing financial aid to 182 displaced Christians in Kirkuk, Iraq; and providing food and other basic needs to 4,500 families in Homs, Syria. “The help ACN is providing for Christians in countries such as Iraq is urgently needed. 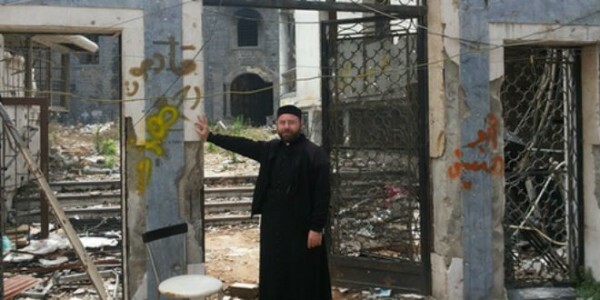 The governmental institutions are not doing what is necessary to help these communities who are struggling so much at this time,” ACN’s Middle East projects coordinator, Father Andrzej Halemba, said in a statement. “We need to remember how much Christians have contributed to society over generations and indeed centuries and now in their time of need they have been abandoned,” he added. The Catholic charity group said it has donated more than $13 million for projects in Iraq and $10 million for Syria since 2011. Since the civil war began in Syria in 2011, the country’s Christian population has declined by almost two-thirds, while Iraq’s Christian population has dropped by more than three-quarters.